This method was occasionally a disadvantage, but we got to explore a lot of the city we may have otherwise over looked. 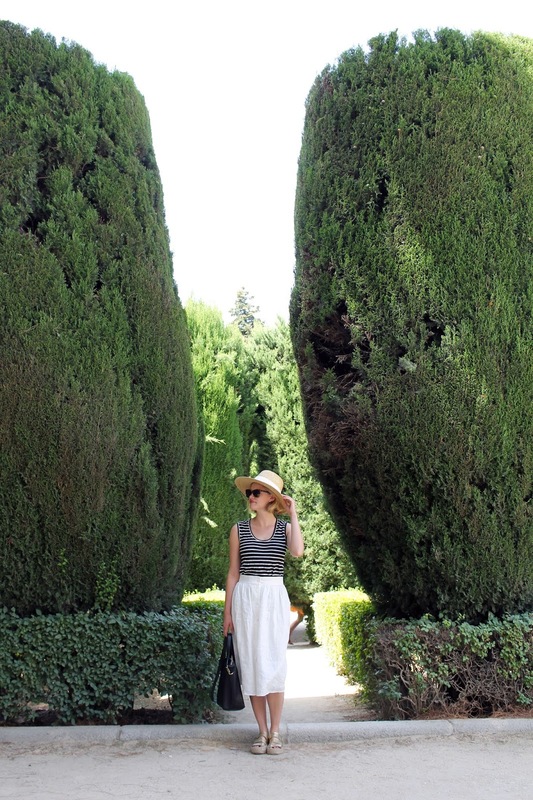 One of our favorite spots ended up being the Sabatini Gardens. We stayed around the corner from the Royal Palace so this ended up being our first stop upon arrival. 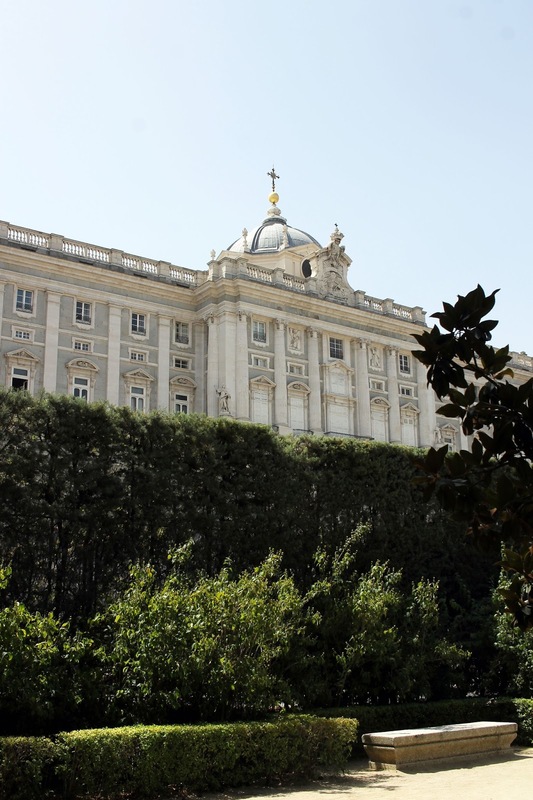 I highly recommend taking a tour of the Royal Palace, but for a more relaxed (and free) sight the Sabatini Gardens should not be missed. 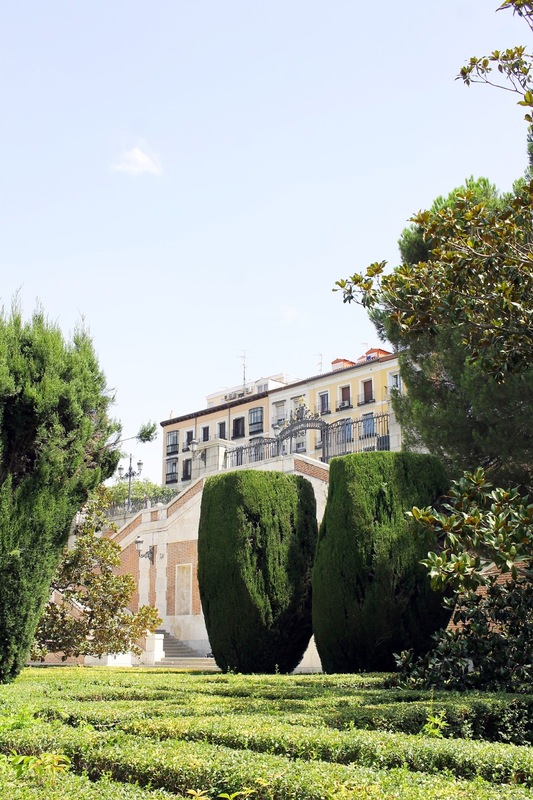 This was the Royal Family's private garden until 1978 when Kin Juan Carlos I opened them to the public. We made a trip to these gardens almost everyday, usually after breakfast. 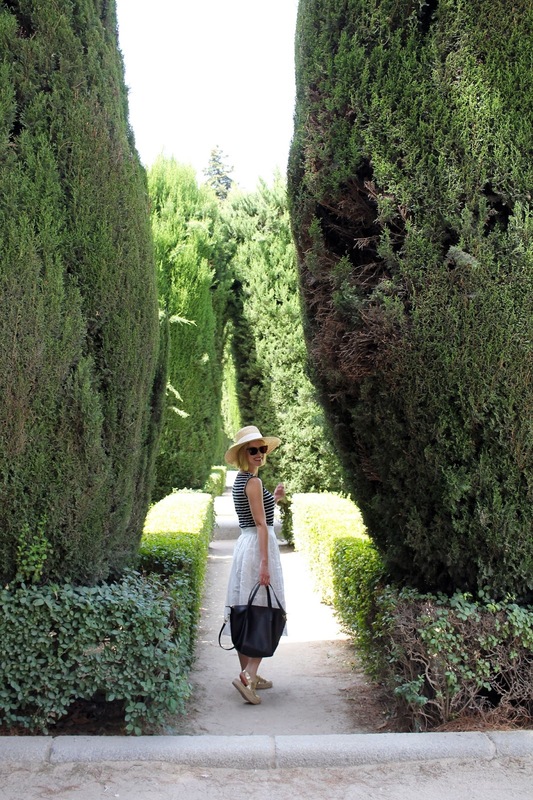 The large hedges do a wonderful job at blocking the Spanish heat which kept a lot of tourists away. 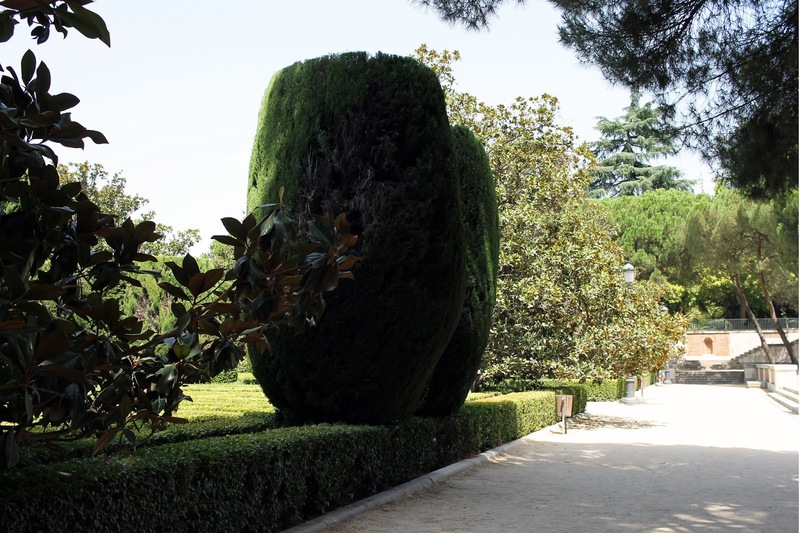 Plus, if you walk down the back stairs you will be lead to the Campo del Moro Gardens which was almost deserted when we visited except for a lone peacock.